Romanian Domestic and International Adoption Statistics. How many children were adopted in Romania in 2014? Over 820 children were adopted nationally in 2014 and another 13 were adopted internationally. According to the National Authority for Child Protection and Adoption (NACPA), these figures may still grow because the courts have not yet provided information about all the cases concluded last year. According to data provided by NAPCA until 31 December 2014, 821 children were adopted nationally last year, most of them in Bucharest (55) and in the counties of Prahova (43), Dolj (36), Braşov (34) Bihor, Constanţa (33 each) and Vaslui (30). The least adoptions were completed in the counties of Bacău (one), Maramureş (three), Tulcea, Teleorman, Covasna and Mehedinţi (eight each), Ialomiţa, Harghita and Bistriţa-Năsăud (nine each). Currently, over 4,000 children across the country are declared adoptable, but only about 1,700 families are certified to adopt. Most children declared adoptable (2,140) are between seven and 13 years old; 1,063 are between three and six years old; 548 are between zero and two years old; and 309 are between 14 and 17 years old. According to NAPCA, 13 international adoptions were also recorded in 2014. Four of the children adopted internationally (by families where at least one parent is a Romanian) arrived in Italy, three each were adopted in Canada and the US, two in Germany and one in Spain. At the end of last year, 52 more mixed families were attested to adopt internationally: 11 in Italy, 10 in Canada, eight each in Spain and France, four each in Germany and the US, two each in the Netherlands and Sweden and one each from Switzerland, Israel and Norway. NAPCA Secretary of State Gabriela Coman said that the draft amending Law 273/2004 on the legal status of adoption has been finalized and sent to the Ministry of Labor, Family and Social Protection, which should submit it for public debate in the next period. Gabriela Coman said that the proposed amendment is the result of extensive consultation of associations of parents who have adopted, of NGOs and of the general directorates of social assistance and child protection. “We tried to accelerate the steps leading to the status of adoptable child, we tried to relax the assessment procedure for families wanting to adopt, and also to introduce new regulations to help people adopt. We have also reduced the waiting periods (where this was possible) or expanded them,” said the Secretary of State. Gabriela Coman also said that – considering what happened in practice, and also what others are doing in other countries – the draft amendment to the law proposes that once a child is deemed adoptable, this should remain final. At present, the adoptability has a fixed period, and each time it expires the difficult procedure to declare adoptability must start over from the beginning. On the other hand, experts have found it necessary to extend the period of validity of the certificate for adoptive parents, who have repeatedly complained that this period (currently set to one year) is too short and, most times, the prospective parents are not even presented with a child in this interval. “Therefore, we proposed to extend this period to two years,” said Gabriela Coman. The above stats. have been translated from Romanian by Valentin Nas. 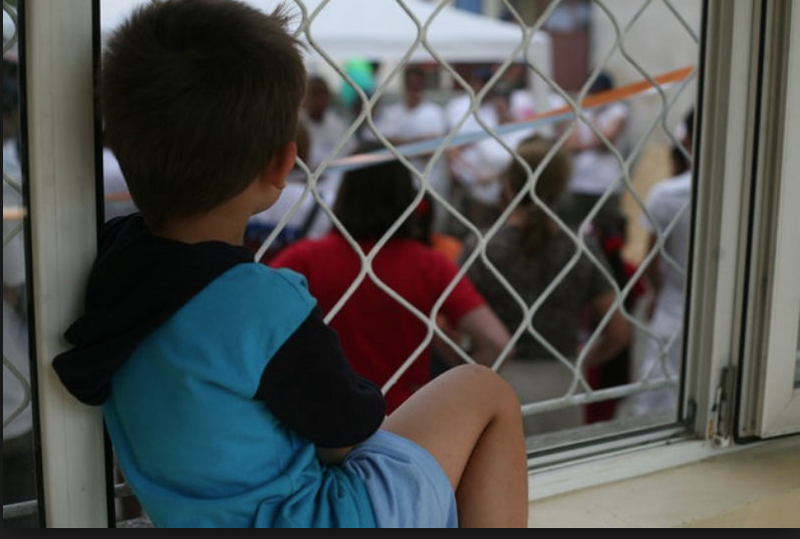 Italy Leads the Way; Romanian migrants in Italy adopting abandoned Romanian children. The high numbers of children being adopted into Italy can be attributed to the fact that Italy is a home away from home for over 888,000 Romanian migrants. A report published by the National institute for Economic and Social Research in 2013, found that the main destination for Romanians was Italy and Spain. Between 2006 and 2007, the year that Romania joined the European Union, their numbers in Italy almost doubled. In January 2012, Italy lifted labour market restrictions for Romanians employed in farming, tourism, care work and construction.